First, Google moved to acquire Motorola Mobility. Yesterday, it bought the crown jewel of restaurant guides, Zagat. Both deals signal huge mobile ambitions for the search giant. 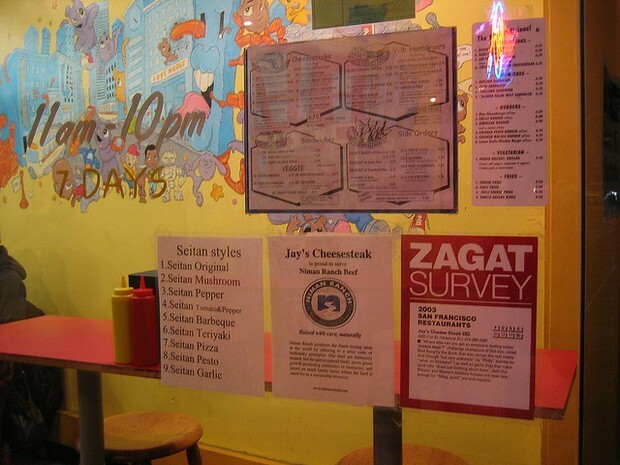 Zagat, the restaurant (and shopping) reviews stalwart, “famous” for “quotation-mark studded” morsels of criticism, has been acquired by Google. The deal, spearheaded by Marissa Mayer–Google’s guru of local–isn’t just about the content or the database: it’s about mobile internet. Google’s massive growth has required the company to diversify far beyond its engineering and service development roots. And its attempted purchase of Yelp in 2009 was an early indication that the search giant may be entering the content game. That one failed, leaving Google to throw its money at other home-grown innovations and myriad other acquisitions that increasingly reflected its mobile ambitions. Late last year, for example, the company launched its Google Ideas think tank, which focuses mainly on geopolitical issues and solving problems in markets where mobile access to the Internet is more pervasive than broadband. Recently, it moved to acquire Motorola Mobility–Larry Page insists it’s for the IP portfolio. It’s impossible not to consider the mind-boggling expansion of the smartphone market in all this, too. GPS systems are de rigueur in the automobiles of the middle- and upper-classes. Customers now search for restaurants, stores, and services via smartphone and travelers rely on GPS and geolocation apps to find gas stations and restaurants. Despite Google Maps’ well-designed user interface and multitude of features, in-map review content has been a problem for them: Google’s in-house review service is weak and additional reviews are imported from second- or third-tier services. Losing Yelp’s reviews negatively impacted the quality of Google’s local map offering (at least temporarily). Meanwhile, Google Maps has a more serious achilles heel: it’s not used on many GPS services today. Despite Google offering a GPS app for smartphones, the vast majority of in-vehicle GPS systems use either proprietary or licensed (and non-Google) map systems. Integration of GPS systems with the mobile web–and the sweet, sweet profits from services such as Google’s AdMob–has been a priority for quite some time. In a hopeful moment for Google, TomTom has integrated Google Local, along with Yelp and TripAdvisor data into their high-end GPS systems. TomTom competitors may try to play catch-up and embrace Google Maps tech, making it more of a standard over the next 24 months. GPS users represent a hell of a lot of eyeballs and a hell of a lot of money. For Zagat, the purchase comes at exactly the right time. The company’s model–content hidden behind a paywall–may not work for a review site in 2011. While the paywall model can be successfully applied to newspapers, review sites have been a different story with review sites such as Yelp and TripAdvisor increasingly upping their game. An analysis of the Zagat deal by Abrams Research notes that Google will have a plethora of interesting options when it comes to dealing with Zagat’s highly curated review model and in working with the endless amounts of raw data that arrive at Zagat’s Columbus Circle-area offices. Among other things, Google will have to choose between treating their reviews as a turn-key solution for their Maps and Local services and whether to apply their own algorithms to that motherlode of Zagat raw data. There are several other concerns that encouraged Google to make this seemingly unorthodox purchase. Despite the massive popularity of Google Maps, MapQuest content is still frequently used on GPS systems… and still has a huge following among older users. MapQuest is owned by AOL, a company that has been aggressively rebranding themselves as a content provider. It’s entirely possible, given the radical changes to MapQuest over the past few months, that AOL is even planning a similar review overhaul as well. Rival Microsoft has also shown a great interest in adding as much local content as possible to its Bing Maps service. Disclosure: The author is a former employee of MenuPages. For more stories like this, follow @fastcompany on Twitter. Email Neal Ungerleider, the author of this article, here or find him on Twitter and Google+.